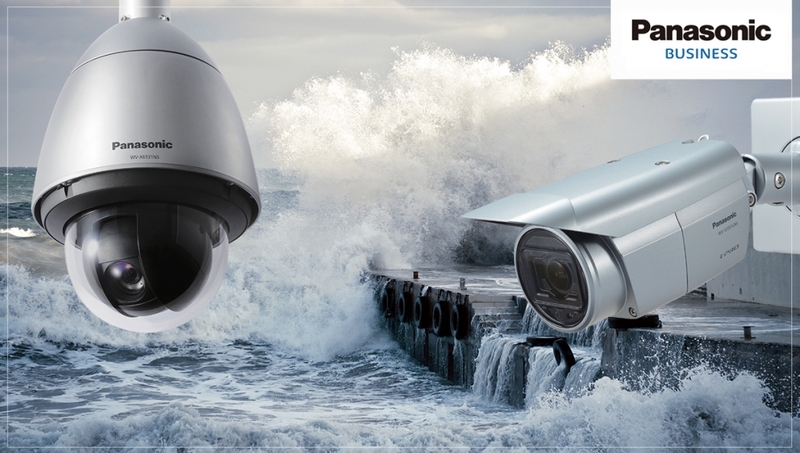 Panasonic Australia has launched two new H.265 security cameras ideal for extreme Australian coastal conditions. The new outdoor PTZ Dome Camera (WV-X6531NS) and Bullet Camera (WV-S1531LNS) meet ISO14993 compliance requirements, thanks to corrosion-resistant coatings and screws. In addition, operational performance and reliability is further bolstered on the WV-X6531NS with built-in vandal-resistance, a rain wash coating that prevents water droplets adhering to the lens, and dehumidification. The Full HD cameras feature Panasonic’s next generation i-PRO® Extreme surveillance technology platform, and are equipped with smart algorithms - significantly reducing the bandwidth and storage required for processing surveillance footage, by up to 75% beyond the H.264 standard. Smart compression automatically distinguishes what footage is important to keep and store - such as moving objects and people’s faces - and compresses what is not important, such as static backgrounds. Both models provide sharp, clear images of fast-moving subjects such as people or traffic; and 144dB Enhanced Super Dynamic ensures excellent performance in backlit situations. The WV-X6531NS allows evidence to be captured over long distances and under challenging conditions with a 40x zoom and image stabilisation. Along with the new models, Panasonic has launched matching erosion and salt corrosion resistant mounting brackets which also meet the ISO standard. The cameras complement Panasonic’s Aero PTZ environmentally rugged camera for arctic-to-desert climate ranges, offering a complete line-up for all harsh and extreme environments. The new cameras will be available from January through Panasonic distributor BGW Technologies.